At its most basic, the function of the differential is to transfer or transmit engine power to wheels, creating different rotation speeds for proper control. It is an integral part of any vehicle’s mechanical system and, without its proper function, controlling the vehicle becomes much more difficult. If you’re experiencing vibrations, whining noises, gear grinding and difficulty handling your vehicle through turns, it is time to have the front and rear differentials analyzed. Because of the complexity of the system, it is imperative that you only trust its repair or rebuild to a professional who understands the challenge and is equipped to perform the service. At Ralph’s Transmission, we’ve serviced thousands of differentials throughout our 50 years of business, and our certified technicians are specialists in repair, rebuild and replacement. 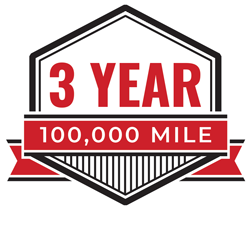 Able to handle any make or model, our team’s work is backed by a rock-solid, three-year/100,000-mile warranty. When neglected, and signs of wear and tear are ignored, simple differential repair is often ineffective and a rebuild is needed. Though the term may sound intimidating and expensive, a rebuild is actually a straightforward process for those who know what they’re doing. Never attempt a rebuild on your own. Our techs have all been specifically trained in differential rebuilds and are leading experts in the process. From properly dismantling the equipment to correctly setting the gear ratios, every step of the rebuild requires a keen eye for detail and extreme mechanical prowess. Furthermore, with affordable, flexible financing options, we work with you to make it feasible to get your car serviced promptly and without hassle. We extend our promise of exceptional care with free towing, free diagnostics and a three-day turnaround. Find out why we’re a tradition for car owners in Modesto by scheduling your differential service and repair now.